Let's have a chat. Contact me through the following. A while ago i had the fortune to do some illustration work for StashAway's new site. Although I'm very fascinated with creating illustrations, but I have never had much experience on real illustration projects. This is my first real illustration project! StashAway is a personal wealth management platform that customizes financial plans to help you manage your assets and do investment easily and effectively. Food delivery app is everywhere. We wanna make a different one. ToGo helps you get food and beverages delivered within minutes from any places nearby, by connecting people in your neighbourhood. Tweet me if you wanna talk anything about design! A few month ago I worked with DBS to create a digital banking app for China market. The project was planned very long but was ceased in the end. Process is more important than outcome. Through the experience I learned quite a lot about consumer banking, dealing with complex payment logic and security issues. I twisted my designs a bit and want to share with you here. New project: Around - Chat anywhere even without network. Quick and simple project with my exclusively owned developer. The goal is to make you chat, no other distractions. Chat here and there, with everyone or someone around you, with or without Internet. Wherever you are, in a desert, on an airplane, by yourself in a crowded bar without wifi, now you can always be connected if you want. Now available on iOS app store. II0P is my 1st desktop web project. It is a platform where anyone can search and book sessions coaches of any sports in Singapore. A user can search for coaches, view coaches' profiles, book a session on a coaches calendar, and add reviews to the coach after session. 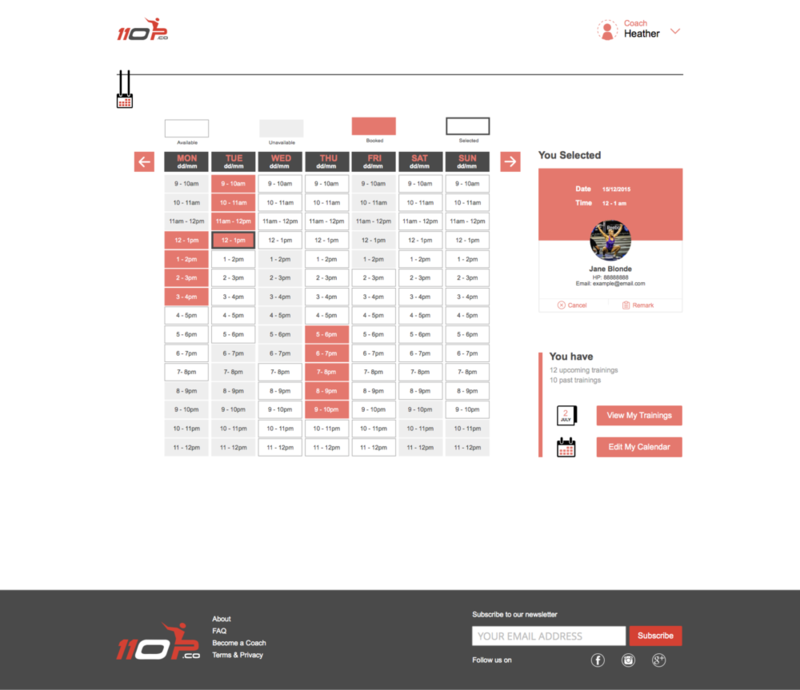 A coach can view and manage current bookings, manage timeslots. Rings is a live broadcasting platform where anyone can video broadcast to the public and watch broadcast from others as well. Main features: Conduct live broadcast , watch live broadcast, chat in a broadcasting channel, send gift to broadcaster, etc. This was the 1st mobile app project that I participated. For 6 months I created wireframes for the Android app of 4 iterations. During the design process I gained a good understanding of design patterns for Android platform. Shabik is a social chat app for young people in the middle east. Due to cultural differences, users of this particular region have unique preferences in using social applications. 1-1 chat, private group chat, public group chat, audio message, image/video transferring, stories, hot events, etc.